WHY IS FULL TIME DOG CHAINING BAD? 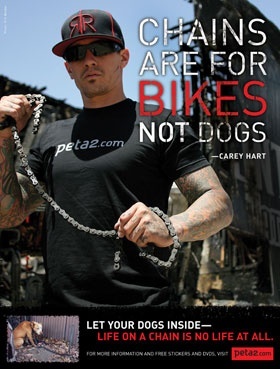 According to the Centers for Disease Control, chained dogs are 2.8 times more likely to bite. Outdoor dogs who are adequately socialized and are properly restrained in a fenced enclosure are less of a threat to passersby, law enforcement, repairs persons, postal carriers and small children who may wander into the area. It may be difficult for adjacent neighbors to enjoy their personal real property when having to view an inhumane practice by a neighboring pet owner. Property values may be adversely affected. Our visitors and prospective residents and businesses need to see a town that is protective of it’s domesticated animals. They want to see an attractive, safe city. WHAT OTHERS SAY ABOUT FULL TIME DOG CHAINING? Centers for Disease Control (CDC) officials found that nearly 30 % of children aged 1-9 killed by dogs in the U.S. between 1989 and 1994 died after “wandering too close to a chained dog”. 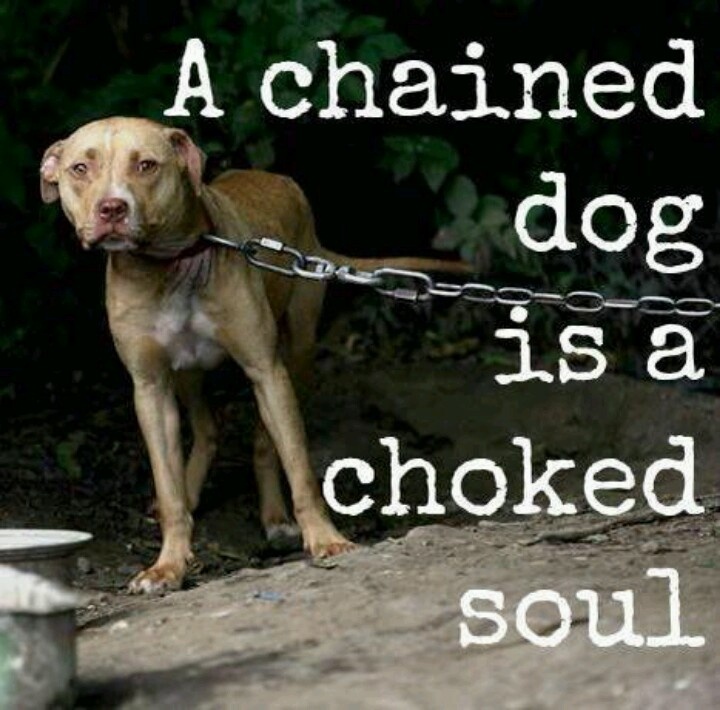 American Humane Association (AHA) reports, “Tethering or chaining dogs makes them feel vulnerable and increases their aggression”. Unchainyourdog.org says, “Dogs should be socialized and kept inside the home or in a fenced yard”. Jeremy Bentham “The question is not, can they reason? Nor, can they talk? But… can they suffer? There has been a cultural shift in the way most Americans think about the responsibility of being a pet owner. Over 70% of American household have at least one pet. In contrast, only 43% of American households have children. Baby boomers, now empty nesters, are filling up their nests with pets! Dogs used to be considered personal property… and they are still so considered on paper… but ask a dog lover. They went from personal property to man’s best friend. And then from best friend to, now, part of the family. People dress them up, brush their teeth, bring them to doggie daycare, buy insurance for them and leave inheritances to them. Most pet owners know there are costs and duties associated with pet ownership. Most pet owners know that there are MORE HUMANE ways to contain your dog than by chaining or tethering. Most pet owners understand the many negatives associated with FULL TIME, UNATTENDED dog chaining. So, what are the alternatives? 1. 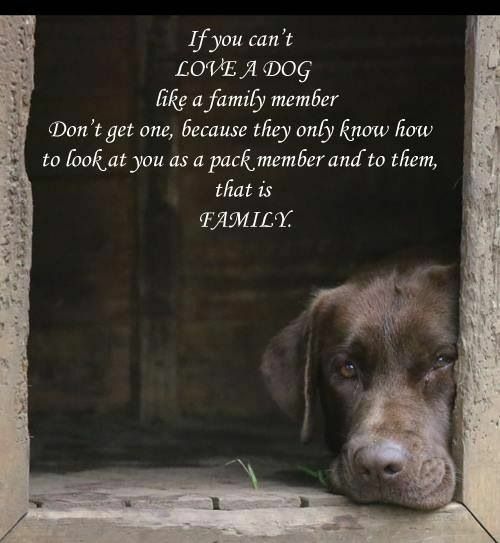 Bring the dog indoors and allow the dog to be part of your “pack”. 2. Enclose your yard or a portion of it with fencing. Solutions exist for hoppers and diggers. 3. Install an electronic fence. 4. If you must chain or tether your dog outdoors for short periods of time, you should be present to protect your dog from being attacked by other (wild) animals and exposed to disease. Also, since the tethering is for a short time only, your pet will not be forced to eat, sleep and eliminate in the same limited space. Your presence would also protect children from wandering into your dog’s area. WHAT DO OTHER COMMUNITIES DO ABOUT FULL TIME DOG CHAINING? Tethering regulations in many other municipalities involve either a total ban on the practice, or permitting it only a few hours per day. Many provide for specific exceptions for particular lawful activities during which the tethering of a dog would be temporary and reasonable. Some have up to 18 months for staged education and outreach prior to full enforcement. It CAN be done!